Global citizens of the world unite – for this year we have an historic world leaders summit and a confluence of conferences. There have never been so many gatherings of the great and the good, but it’s all globaloney – without you. World leaders will be deciding all our fates for us, so we need to #demandbetter from them, and remind them they work for us. So here are the key movement moments when activists must be loud and clear. If we get each of these right, we could ensure that 2015 becomes a powerful turning point. If we don’t, we will regret bad or absent decisions for generations to come. 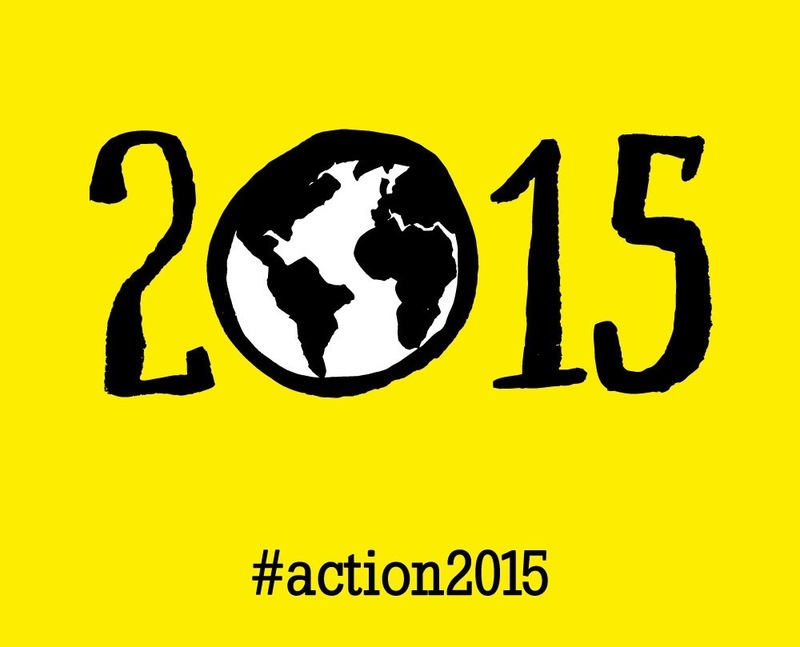 Launch of the action/2015 movement – a new network of global citizens backed by ONE, Civicus, Save the Children and a thousand other groups and leaders like Malala and Melinda Gates, dedicated to holding world leaders accountable in the fight against poverty inequality and climate change. As world leaders gather in Davos for the World Economic Forum, listen carefully to German leader Angela Merkel’s speech about her G7 agenda, and pay heed to Bill Gates annual letter. This year Davos needs disrupting. As Pope Francis said, wealth must serve people – not the other way round. ONE is also demanding that economic empowerment for women and girls is taken seriously at Davos – otherwise we will never end extreme poverty. Leaders must pledge at least $7.5 billion for Gavi, the Vaccine Alliance, to prove their seriousness in the fight against disease and poverty, and ensure money to fight Ebola or climate change doesn’t come at the expense of life-saving vaccines. There’s real jeopardy here – right now we might be $500 million short, maybe more. This year, womens’ empowerment, gender justice groups and anti-poverty activists will team up globally as never before – watch this space. 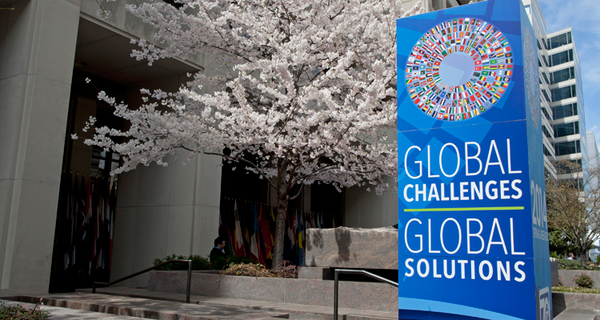 These are key meetings for the world’s finance ministers to propose plans to finance the fight against extreme poverty for the next 15 years, plans that must be finalized by July. Key elections during which the UK’s aid and foreign policy will be hotly debated. The UK isn’t the only key election this year – Nigeria has a massive election in February, Canada and Tanzania in October, and 40% of the citizens of African nations vote in 2015 – the largest number ever. At this summit, and at a special meeting on women’s’ economic empowerment just after, Chancellor Merkel will make her case to lead the world on the fight against extreme poverty – for sustainable development and for gender equality. It’s critically important that Germany secure G7 agreement to increase aid to the very poorest countries to equal half of aid (it’s less than a third now), and agreement on transparency and accountability of all promises. A few days after a woman hosts the G7, another woman – Nkosazana Dlamini-Zuma – chairs the African Union summit on women’s economic empowerment. Taken together this can be a South-North breakthrough in women’s empowerment policy. It’s quite mad that in many regions of the world women can’t inherit property, they can’t own land, they can’t open a bank account, and they can’t stay in school. This injustice must end. This meeting in Addis Ababa, Ethiopia, is the uber-gathering for global poverty geeks. The nerdathon must agree the definitions of aid and the numbers needed to finance development for a better, safer planet for the next 15 years. The T word (trillion) will be bandied around with abandon. But key for ONE will be agreement that half of aid goes to the very poorest nations, and whether we can clearly track all the promises made through dramatically improved open high-quality data, and whether the money within developing countries stays there and is not stolen through corrupt natural resource deals and secretive shell companies. Around the 26th September, the leaders of the world will agree to great, inspiring goals – such as eradicating extreme poverty by 2030, ensuring access to justice for women and decent education for all girls. This new global compact must be shared with everyone on the planet, so they know about the promises just made and can then hold leaders accountable. Remember: politicians only keep their promises when they are made to do so. Emerging nations like Turkey, Brazil, India, China, all members of the G20, must step up and be great global citizens too. This means ensuring their companies aren’t corrupt when securing contracts with developing countries to extract natural resources, and improving transparency. We will not eradicate extreme poverty if the worlds resources are plundered through corrupt deals, then the stolen funds hidden through secretive offshore companies. At this summit, we must see a deal which helps the poorest fight climate change. The poorest smallholder farmers in drought-prone regions in Africa are already being worst hit. It would be a travesty if deals struck take funds away from these in the frontline. Funding for the fight against HIV/AIDS is a great marker of progress in the fight against poverty and diseases. Our colleagues at (RED) will be big again this day, drawing more people in and driving them towards action and, by 2030, the virtual elimination of deaths from HIV/AIDS. Jan 1 2016: Happy New Year!